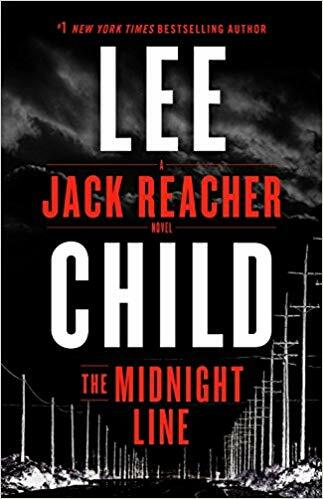 As for Reacher himself, I get why people have come to love the character over the years, but as an stand alone story, again, I was bored with him. He's infallible. Physically, he seems to have no match even when outnumbered. Throughout his investigation, he comes across like a basic version of Sherlock Holmes -- he sees all the angles and all the motivations of everyone around him. He can read people and situations perfectly, and appears to have no weakness. One of the problems with this (beyond Reacher ever being placed in a situation where he may come to any harm, physically or otherwise), is that many of the insights he unravels along the way are fairly obvious to the reader. There's no mind-blowing sense of deduction, no clue that only Reacher could have uncovered, no mystery that only Reacher could solve. In fairness, I imagine his character was more vulnerable and dynamic earlier on in the series, but this is a guess on my end. I think this story could have benefited from a tighter plot. Trim seventy-five pages off of this and this could have been a roller-coaster ride across South Dakota and Wyoming. A few examples where trimming may have benefited: one more than one occasion the process of leaving a voicemail was explained over the course of multiple sentences. In another, Reacher is described as "Bigfoot" which leads more than one character to respond with some form of "huh? what's that?" which allows the first person can describe Bigfoot in painful detail.... These are rough characters from the the harsher corners of the mid-west... they know what Bigfoot is. Long story short (more ways than one), the narrative was padded and longer than it needed to be and the thematic message of the story, while a worthy one, was awfully heavy-handed. Will I return to Reacher in the future? Maybe. Admittedly, it's probably not best to judge an entire series off the 22nd entry, so we'll see. But for now, two stars.